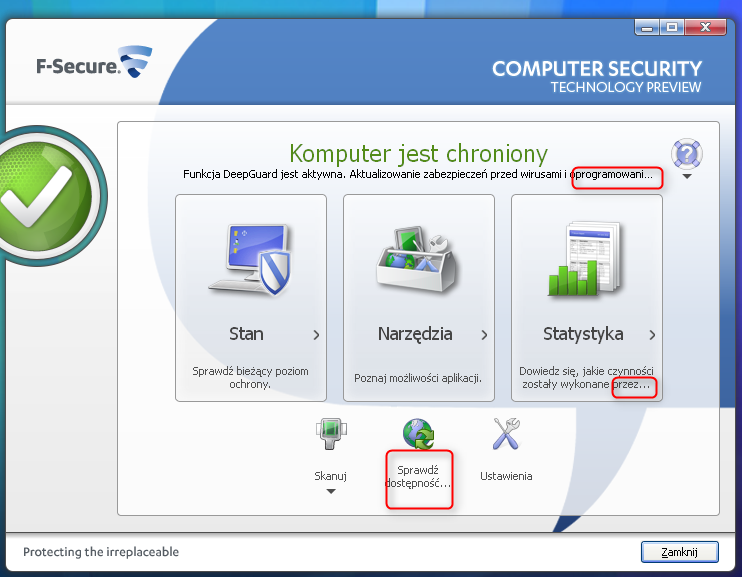 I think a lot of users of F-Secure have noticed, that often in F-Secure Window text is not fully displayed. I did not notice this in any other program and i think this looks not aesthetic. It would be nice, if this wille improved/fixed. I don't know... Maybe add possibility of change the window size? Thanks for the comments. There's always a challenge to fit display texts in text fields and windows in the user interface. This is especially the case with mobile applications that need to fit within the small screen. There are languages that have generally quite short words and there are languages that require more space for the long words. We currently support over 20 languages with Internet Security. This is always a balancing act and there's room for improvement here, both for readability and aesthetics reasons. if the interface of the beta version in 2014 will remain the same that i saw,I will miss 2013! First issue just fixed for next release. Second issue is only in TP. 3rd issue is fixed in IS2014. What comes to right-click menu, we try to add it in the next release. Thanks for all your comments and suggestions! As Cale has mentioned in his post, some of these issues have been addressed in IS2014, and others are in the works. We appreciate your feedback - keep it coming!